ThunderWorks New Leashes Now Available! You are here: Home / Sponsored / ThunderWorks New Leashes Now Available! 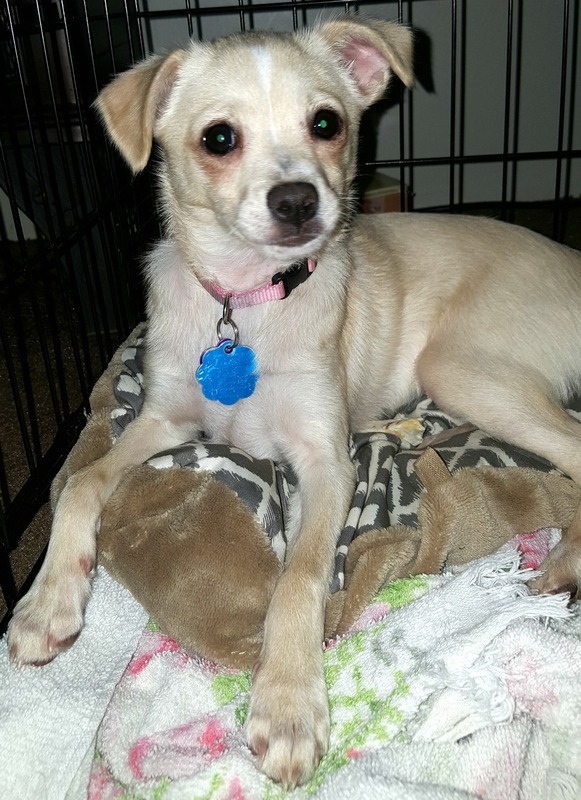 We have 2 beautiful female dogs – Molly our PitBoxer and our brand spanking new Pomchi our grandson named “HoneyBun” and we are to call her “Honey” – which actually fits her color :). 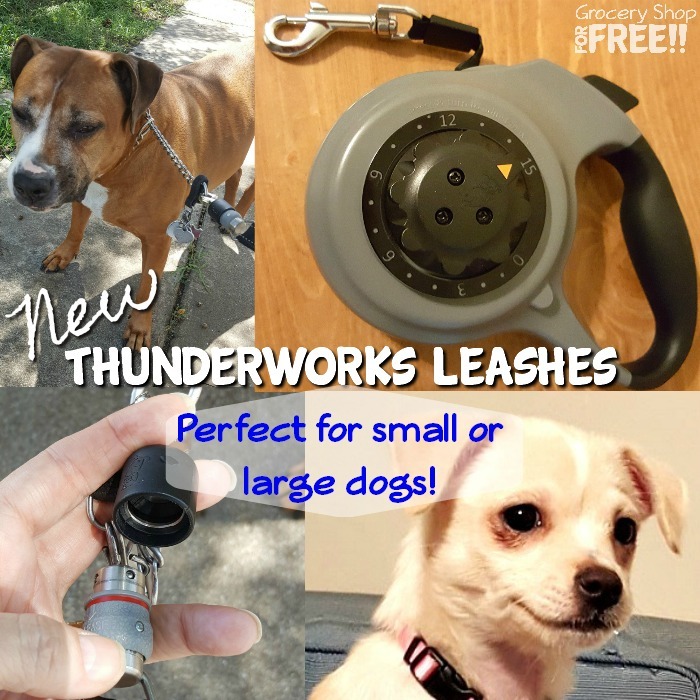 I was very happy when I was asked if I would like to try out ThunderWorks’ 2 new leashes and share with my readers – they are perfect for each of them! They sent me both of the following leashes and I loved them both for different reasons. Designed to make putting on a leash as quick and convenient of a process as possible. 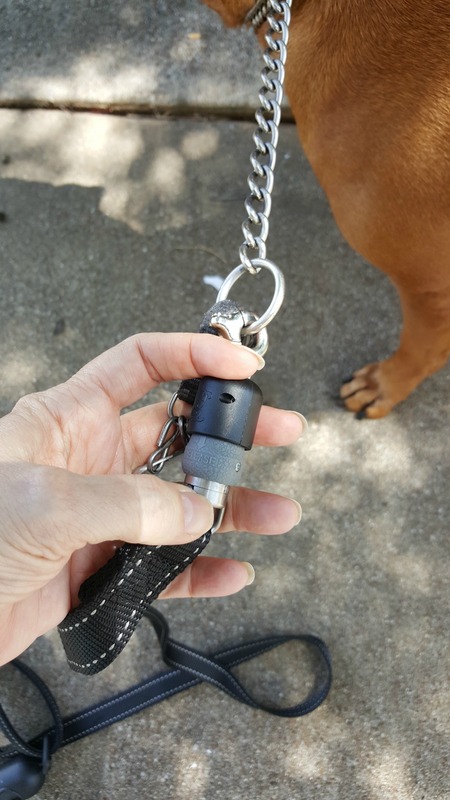 It uses powerful magnets and a strong ball-bearing latch mechanism to easily and securely connect to any standard dog collar. Tested on over 300 pounds of force, this leash is sure to hold even the strongest puller. Works with all collars and harnesses. Learn more here. The one we got is for Molly. It is super easy to attach and holds up to 300lbs of force – which sometimes it feels like Molly can do that! lol I LOVE this one so much we’ll probably get one for Honey, as well. 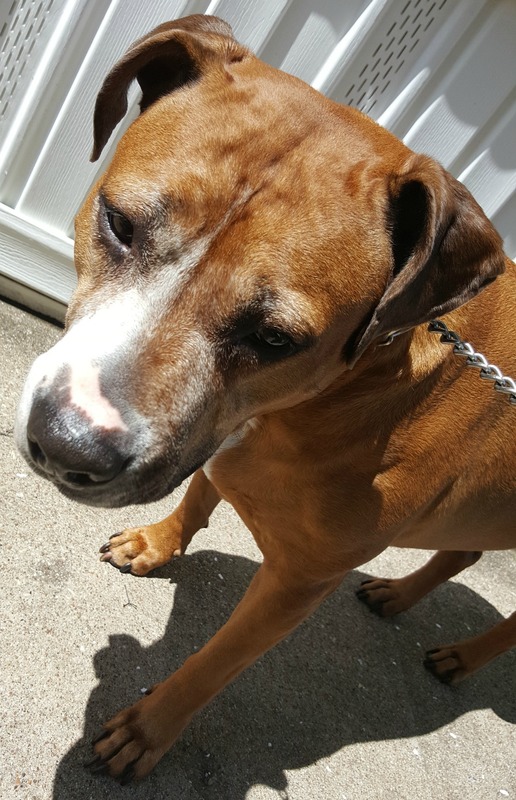 Honey has become the entire house’s dog but, she was originally meant for my Mom, who lives with us, but, recently fell and broke her thumb and split her scalp open… ouch! She is recovering well, but, we’ve all chipped in to help with Honey. 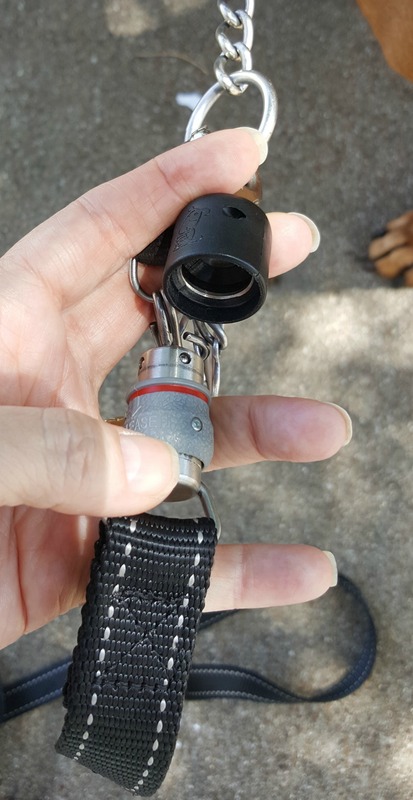 I think this leash will be great for her as it snaps on so easily that Mom won’t have to worry about attaching the leash with her broken thumb. You attach one part to any collar and then the other one “snaps” into the collar as the magnets attract. We have loved using it, we walk Molly regularly and it holds her very well, she is about 80+ lbs. Retractable leashes are great for giving your dog more exercise and freedom on walks, and minimizing leash tangling. But if you are distracted for even a moment, your pup may lunge into danger before you can get your thumb on the manual brake. Dial-A-Distance eliminates those risks, allowing you to stop worrying and enjoy the walk with your dog. 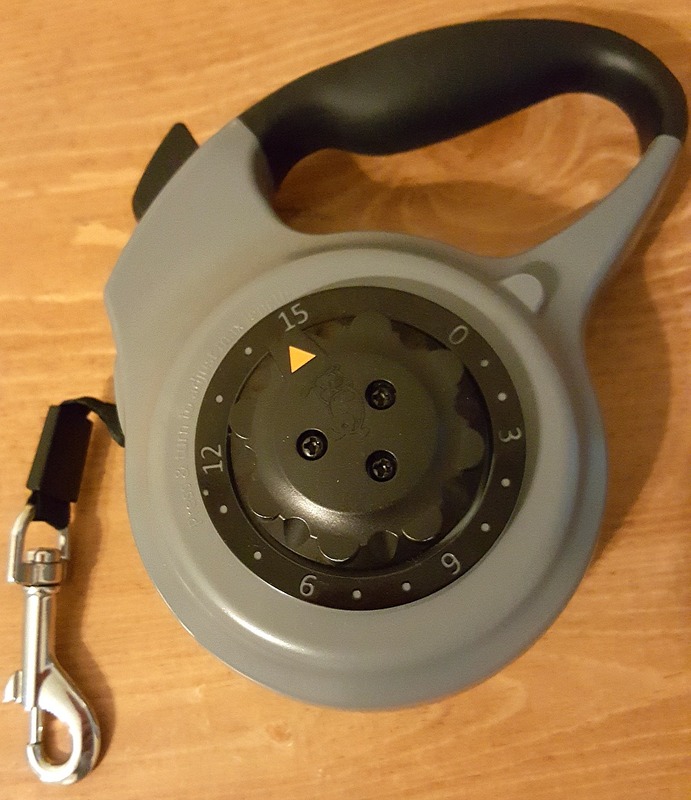 Within the maximum length that YOU select, Dial-A-Distance works just like other retractable leashes. It extends and retracts as your dog moves around and you can always use the manual brake when needed to stop short of the maximum length. But when your dog reaches the maximum length you selected, Dial-A-Distance automatically brakes. Learn more here. I have really enjoyed this leash since Honey is house training, right now, and she’s just a baby she goes SOOOO much. But, with this leash I can pop out on the porch and let her go explore a bit and I don’t have to go with her :). It’s going to be great for Mom when she starts walking her again, too, when she brings her in she can shorten the leash and lock it to keep her from wrapping around her legs and tripping her.